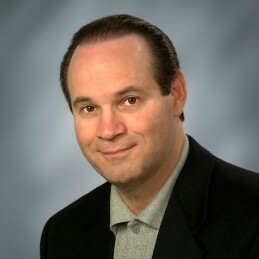 Dr. Tony Alessandra is two speakers in one, a professor and a performer, or as one client put it – “he delivers college lectures in a humourist store format.” Tony offers audiences the opportunity to enjoy themselves while learning practical, immediately applicable skills that positively impact their relationships with prospects, customers and co-workers. He focuses on how to create instant rapport with prospects, employees & vendors; how to convert prospects and customers into business apostles who will “preach the gospel” about your company and products; and how to out-market, out-sell and out-service the competition. Dr. Alessandra has a street-wise, college-smart perspective on business, having been raised in the housing projects of NYC to eventually realizing success as a graduate professor of marketing, Internet entrepreneur, business author, and hall-of-fame keynote speaker. He earned a BBA from the University of Notre Dame, an MBA from the University of Connecticut and his PhD in marketing from Georgia State University. Recognized by Meetings & Conventions Magazine as one of America’s most electrifying speakers, Dr. Alessandra was inducted into the Speakers Hall of Fame in 1985. In 2009, he was inducted as one of the “Legends of the Speaking Profession,” in 2013, for the 4th year in a row, he was selected as one of the Top 5 Sales/Marketing/Customer Service Speakers by Speaking.com, and in 2010 Tony was elected into the inaugural class of the Sales Hall of Fame.